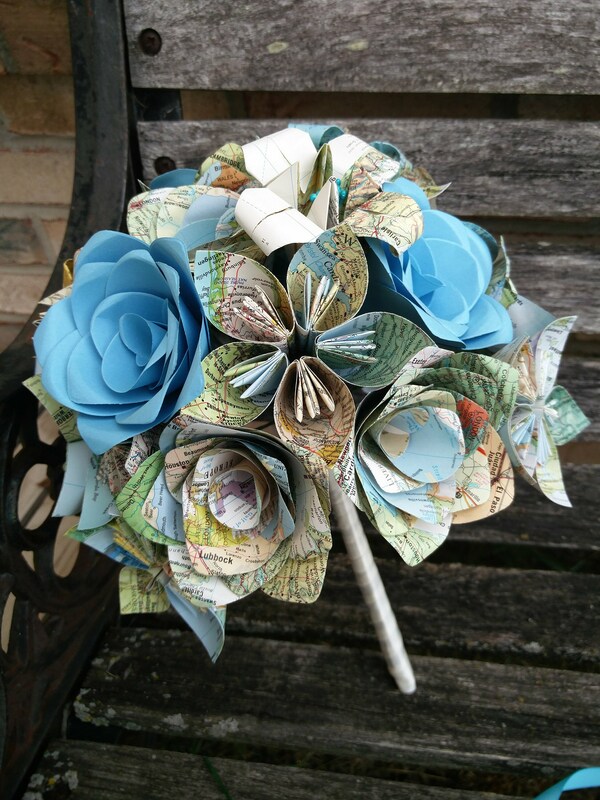 Vintage Map Bridal Bouquet. YOU CHOOSE The MAPS. Made To Order. 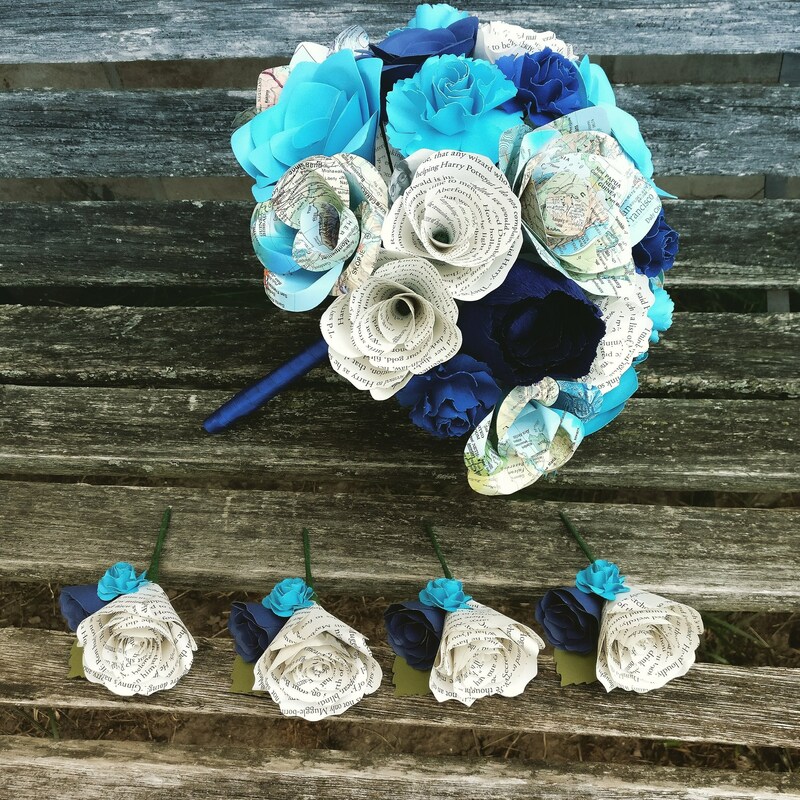 Boutonniere Included. Whole Wedding Parties Available. 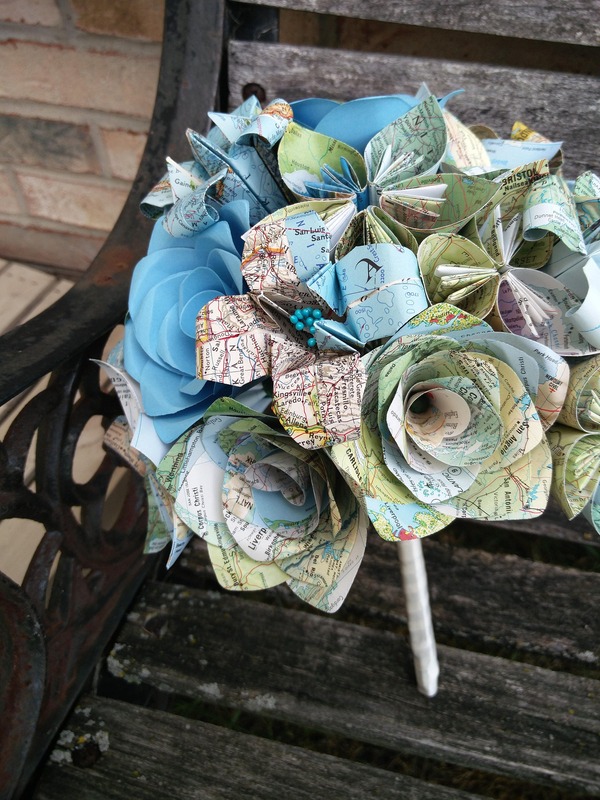 This listing is for a custom bridal bouquet, made from vintage maps! 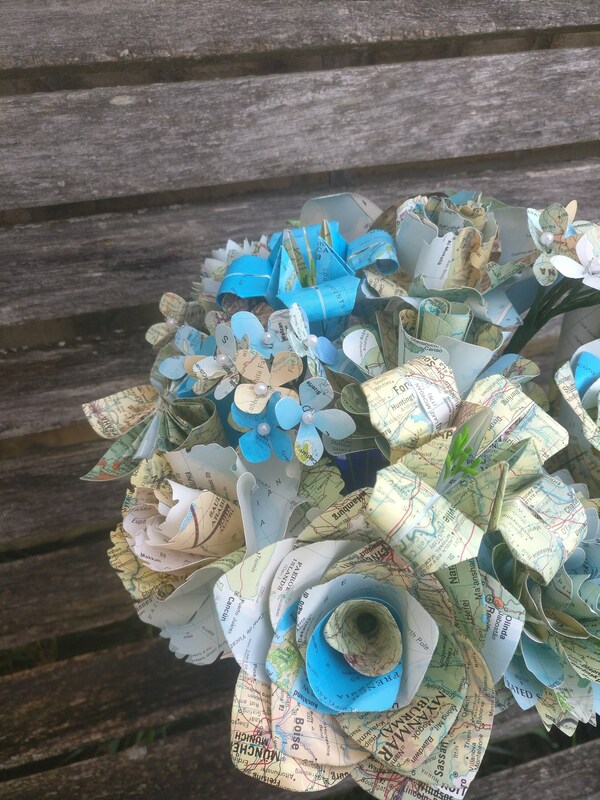 I can make them from maps from any part of the world. 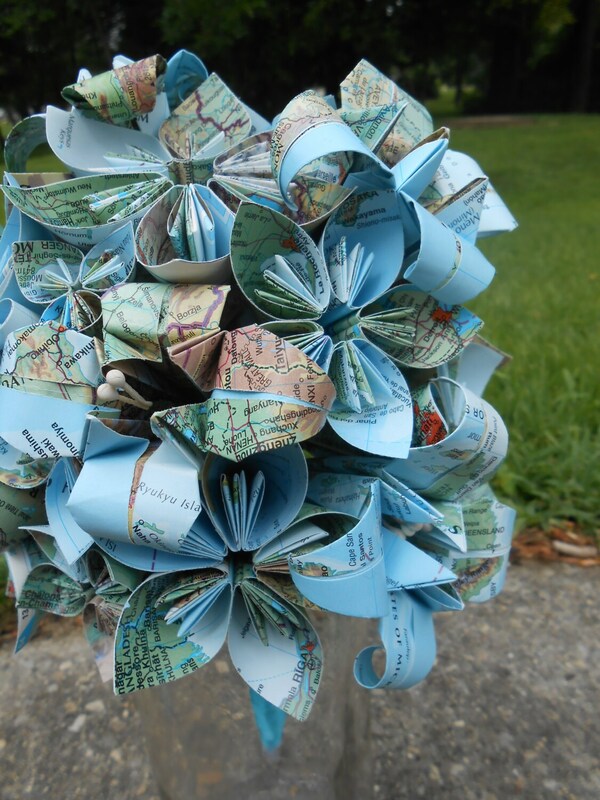 Or I can make a global map bouquet. 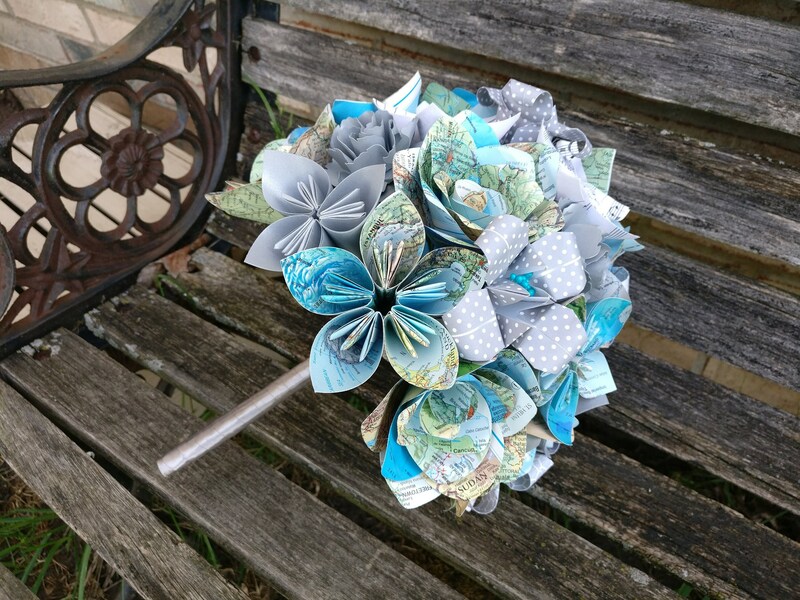 This bouquet is MADE TO ORDER! 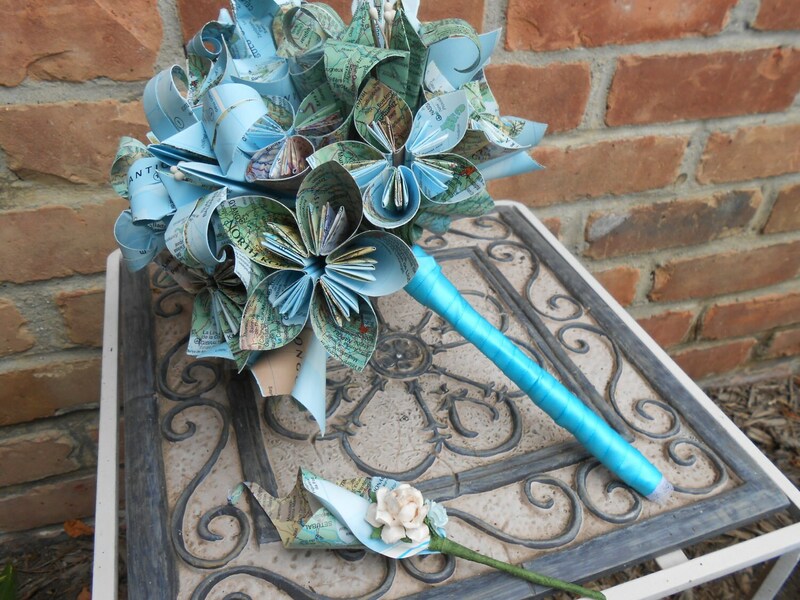 It comes with a free boutonniere. 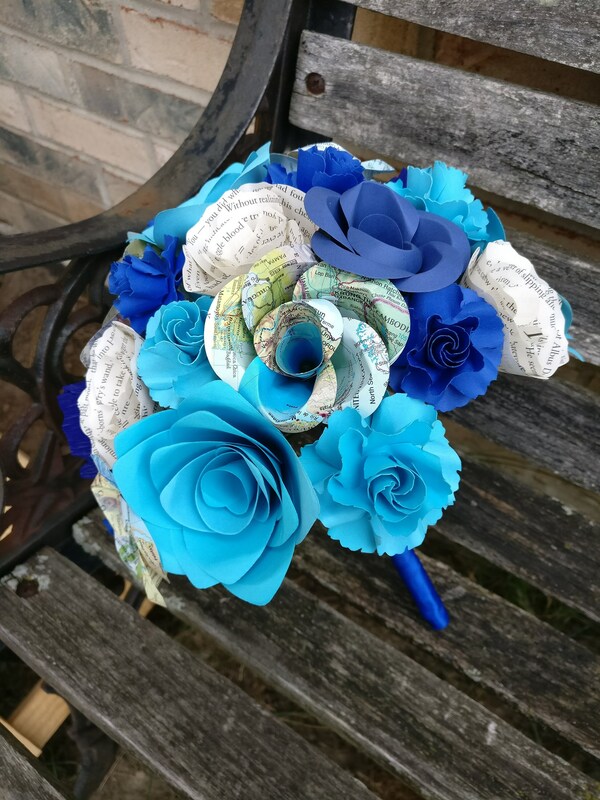 Choose your map type, location, ribbon color, etc. 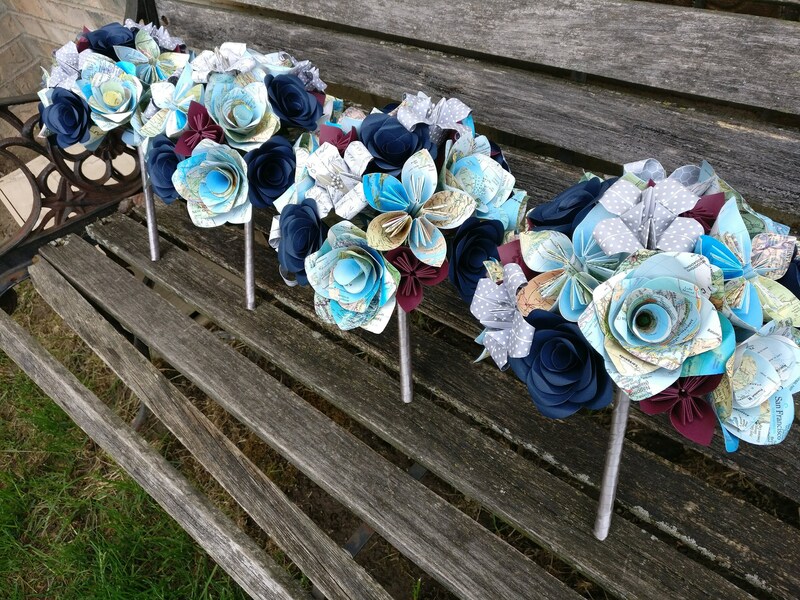 PLEASE keep in mind that I am about 2-4 months out with wedding orders. 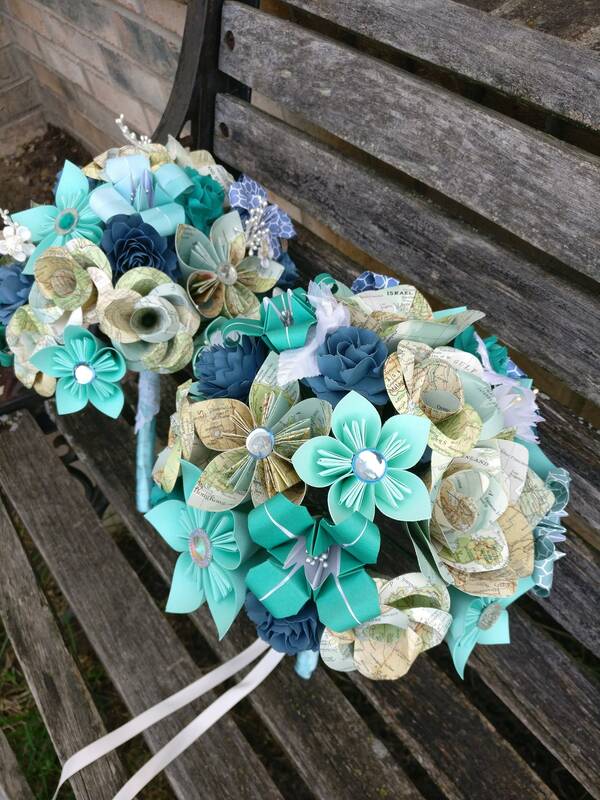 Check out my store for more examples of bridal bouquets.